Another impressive silhouette is about to be released and it is currently making a huge buzz even before it hits the market! Made as tribute to the Jordan Trunning, Jordan Brand is set to add another colourway to their impressive collection of the Jordan Trunner 11 LX. This model will be coming out in Black/Anthracite – White colourway this month, which boast detailed overlays and laminated materials. This lightweight and comfortable sneaker will be coming out anytime this November and it is definitely a must-buy! 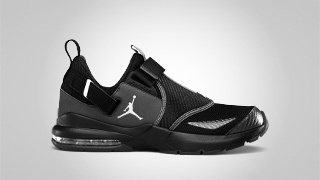 Check Out the New Jordan Trunner 11 LX! Check Out the Air Jordan 14 “Last Shot” Edition!